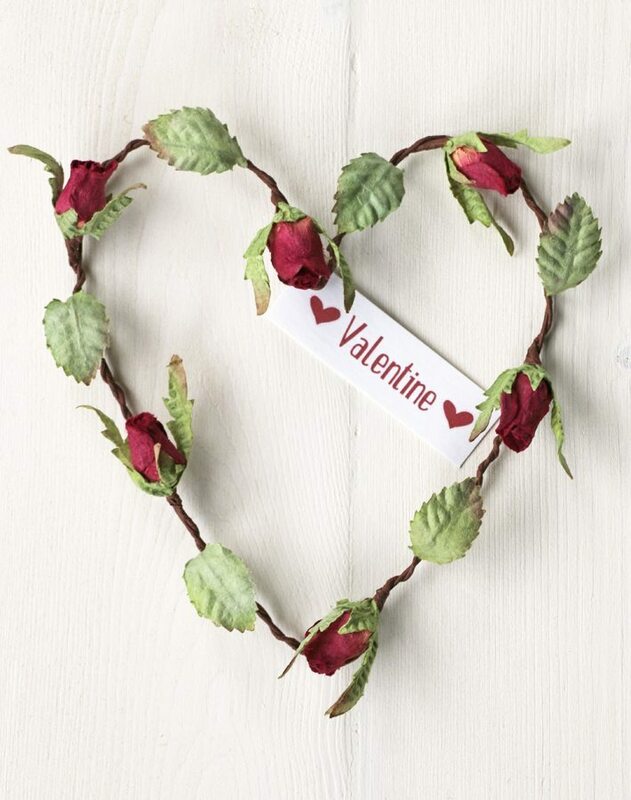 Valentines day is just 2 weeks away and at Paper Tree we have some lovely new romantic Valentine gifts to say ‘I Love You’. 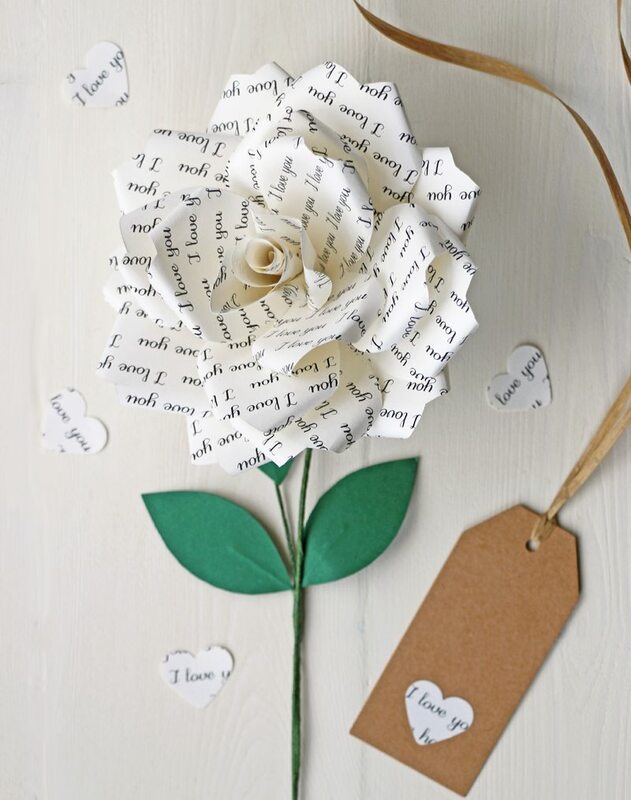 These beautifully hand crafted paper roses send a clear message, printed with the words ‘I Love You’. The roses make a perfect gift as a single stem or as a bouquet and come with a vintage style tag with a heart. They are gift wrapped in brown paper & tissue with raffia tie. A red rose signifies enduring passion. 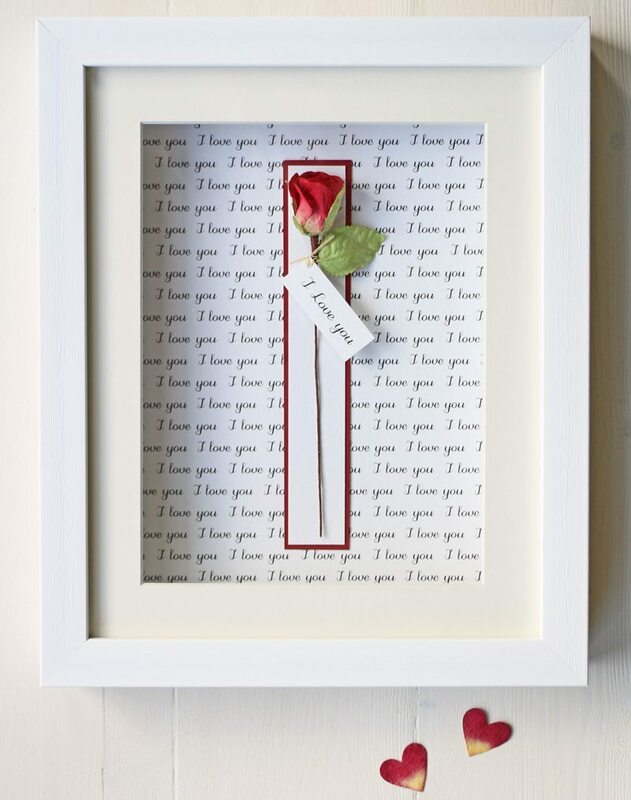 This gorgeous handmade paper rose is displayed in a boxed picture frame lest you should forget! 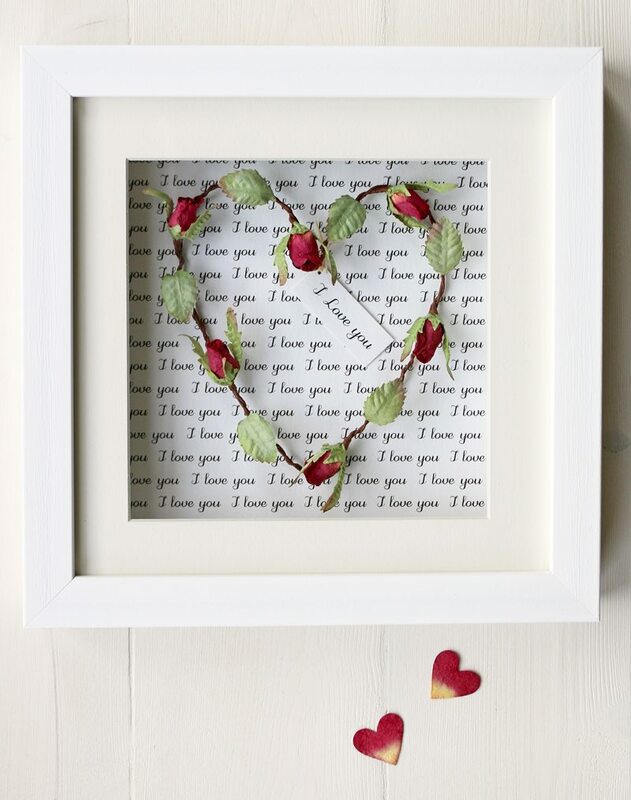 The paper rosebud heart in this picture is a very popular gift at Paper Tree & now it is finally available as a framed picture. A beautiful gift & keepsake. This entry was posted in Latest News, Uncategorized and tagged i love you, i love you paper rose. literary rose, paper rose, valentine gift, Valentines.